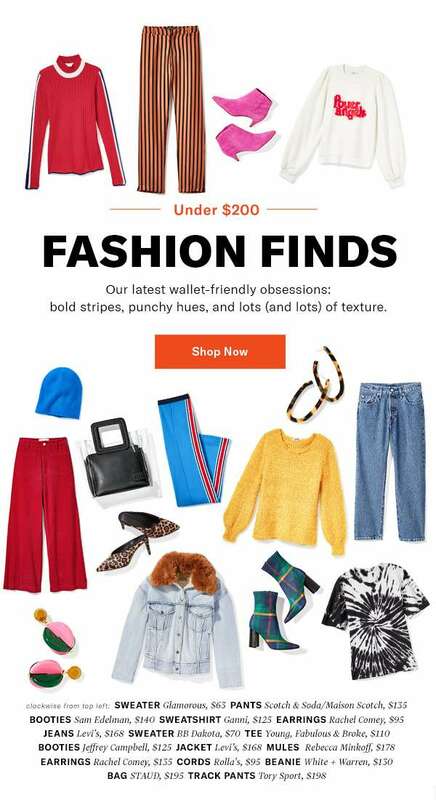 Home > Fashion > [Shopbop] Fall picks that pop—all under $200! [Shopbop] Fall picks that pop—all under $200! Previous: KFC: Chick ‘N Share 5 pcs Chicken, 10 pcs Hot & Crispy Tenders or 25 pcs Nuggets at just $10 Each!